One Iowa Archives - Joe.My.God. Far left: Liz Bennett of One Iowa. 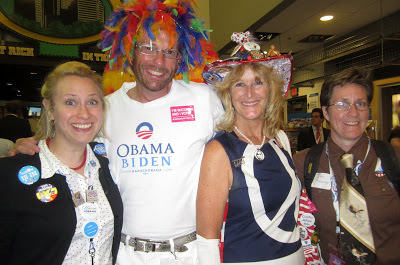 Far right: Jen Rowray of Iowa’s LGBT delegation. The gentleman in the middle is from Mississippi’s LGBT delegation and I failed to get the details about the gal to his left. Fun group! Iowa Family Council: Why Should The Elderly Or Infertile Get Married Anyway? When confronted by an audience member about his position that opposite marriage must be preserved in order to produce children, the spokesman for the Iowa Family Policy Council said about the elderly and infertile, “One might ask, why are you getting a marriage license anyway?” One Iowa responds below. Bookended with commentary from One Iowa…. Anti-gay haters in Iowa are trying every trick in the book to overturn marriage equality. Here’s how One Iowa is responding. Contribute to keeping this ad on Iowa’s airwaves here.